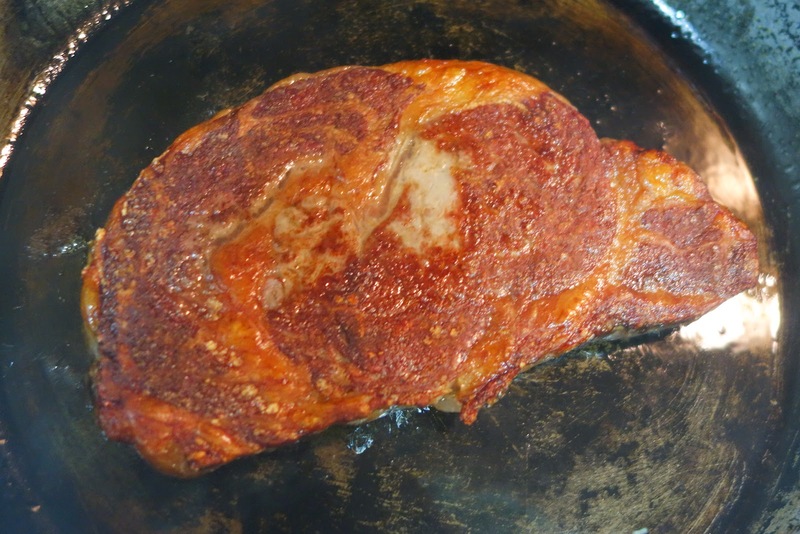 This is a short post on steaks. 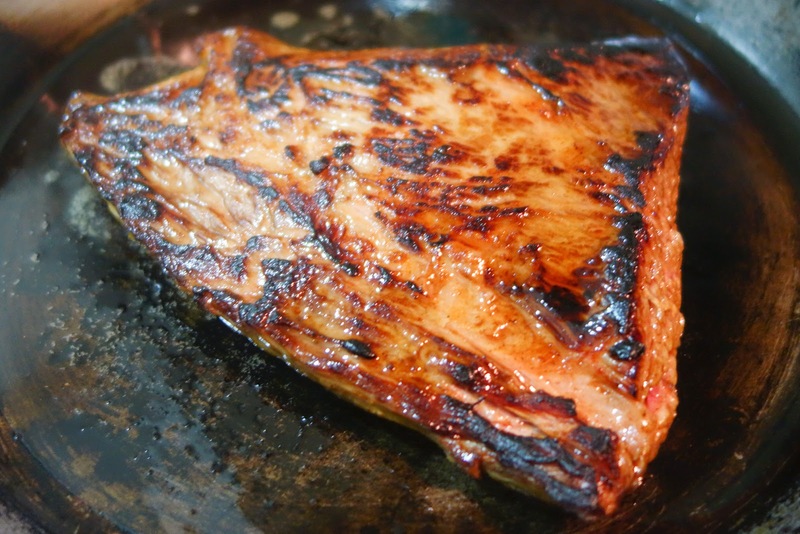 It is very easy to cook steaks. And it is a lot cheaper to do it yourself, of course. These are two incontrovertible facts which you should know, whatever anyone will try to tell you. 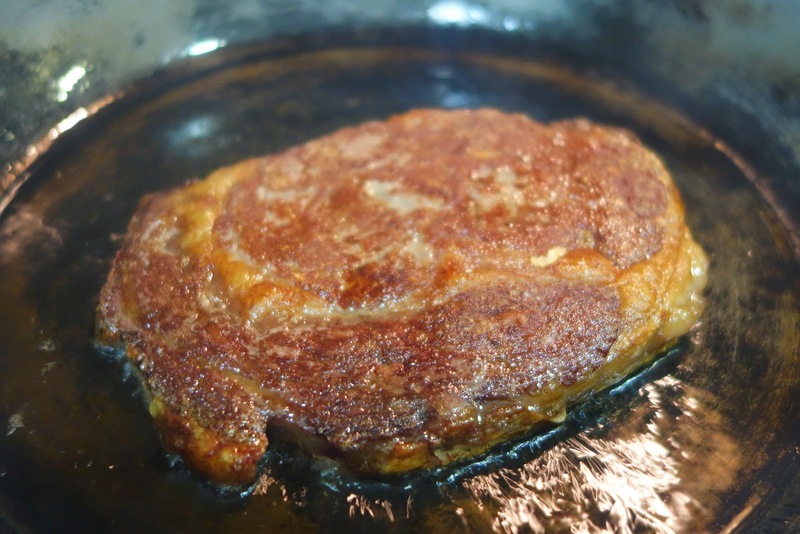 The pan in your kitchen can do a pretty good job at searing and crusting the steak. 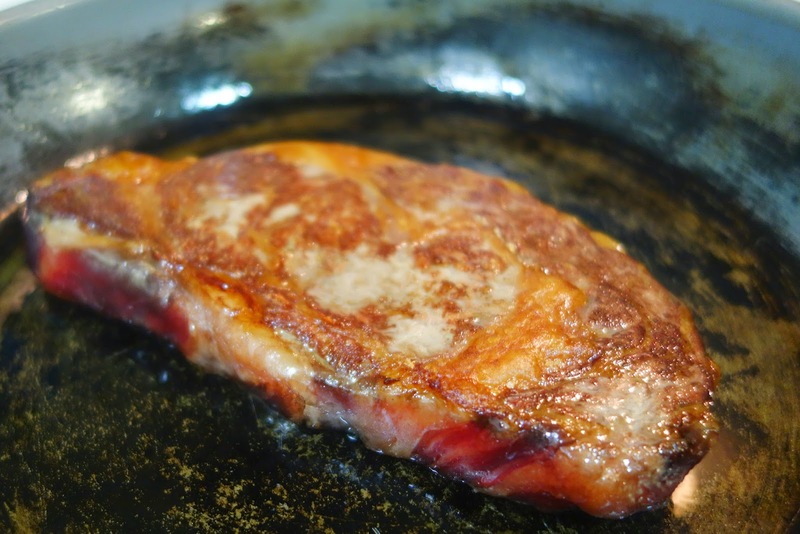 While almost any pan can do the job, my favourite pan for searing is the Greenpan. 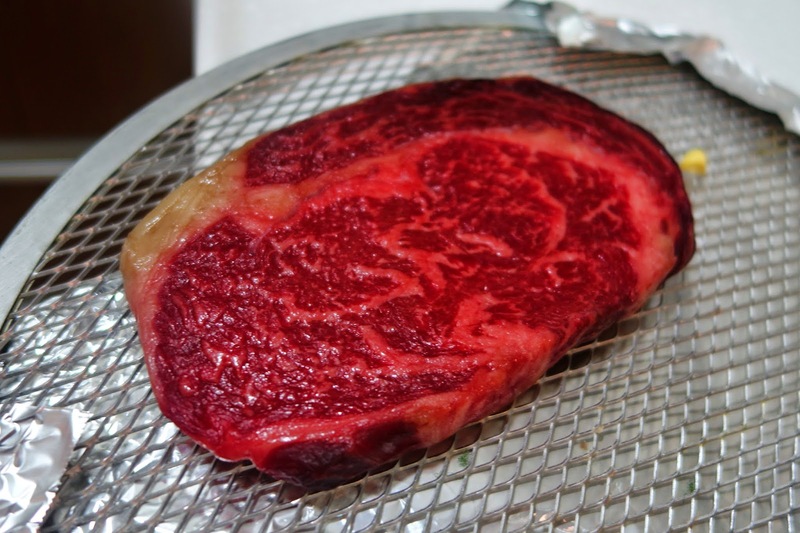 If you dry the steak in your fridge, it will make the crusting job easier. 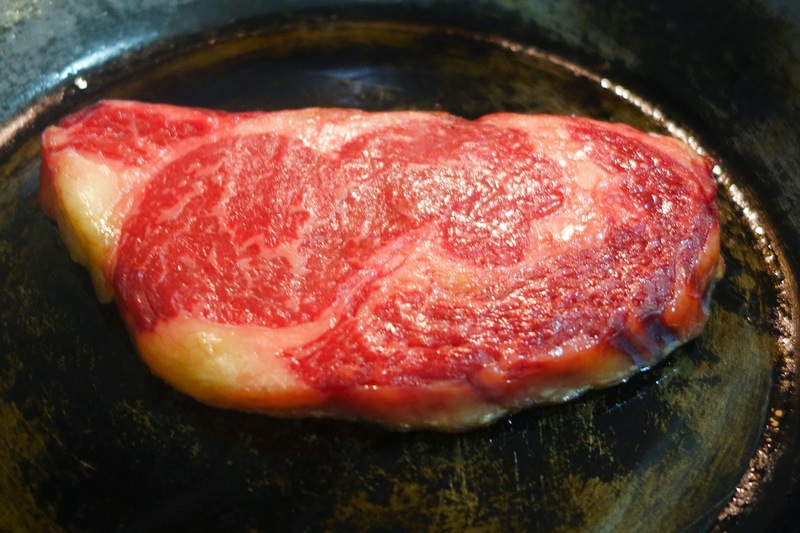 I test the doneness of the steak by the bounce of the meat (just tap). On the average, 2 minutes per side on high fire should work for a medium to medium rare steak of about half an inch thick. Adding soy marinade will char the meat with a darker tone. See some samples below. If you have a good steak to begin with, salt and pepper is all you need. By the way, we hardly eat steaks outside. And when I am cooking the better cuts at home, it is usually because I am testing some cuts for a dinner paid for by others. I cook for the joy of it and they pay for the eating. Good deal, I would think. This grain-fed Short rib has heen sous vide for 36 hours. The texture and flavour is sublime and good value for money - that is if you cook it the Sous Vide way. After Sous Vide, it was marinated in a home-made soy sauce.